Billionaire property tycoon Jon Hunt is suing a top London garage after his son’s recently serviced Lamborghini burst into flames while he was driving it. 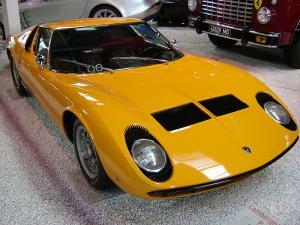 Mr Hunt’s son was less than a mile away from luxury car specialists H.R Owen Dealerships Ltd, which trades as Lamborghini London, when his yellow £1 million 1971 Lamborghini Miura SV blew up. Now Mr Hunt, the founder of UK estate agent Foxtons, is taking legal action against the garage that had taken the vehicle in for a series of repairs only for it to then set ablaze just down the road. The incident could have been avoided if the mechanics had taken due care to test drive the sports car before returning it to the owner – this is one reason why garages must have a road risks insurance policy in place, so their staff can drive customers’ vehicles to ensure they are running smoothly after work has been completed. The event dates back to April 2013 but Mr Hunt, whose wealth was rated at £1.07 billion by the Times Rich List this year, has only just lodged a writ to the High Court, the Evening Standard reported. He is looking for £700,000 compensation as despite the £900,000 value of the car, the burnt shell that remained still held a value of £200,000. The fire is thought to have been started because the replacement engine oil, filter and spark plugs were not fitted correctly.